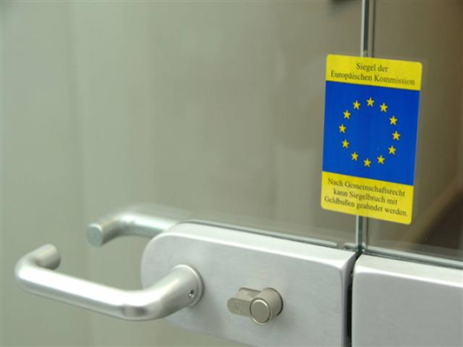 A sealed sign with the EU flag does not automatically mean ‘sealed by the EU Commission’ anymore. The number of EU entities acquiring direct enforcement powers has grown from one to eight recently. 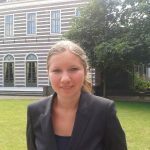 The first post of this blog puts on the map and raises awareness of an ongoing development in the EU law and governance – proliferation of EU enforcement authorities (EEAs) – which so far has been unnoticed. The aim is to launch a discussion of the aims, means and challenges of this development to understand and contribute to shaping of effective and secure law enforcement in the EU. In July 2016, a proposal to establish a ‘Superfrontex’, i.e., European Border and Coast Guard and Agency, has been adopted. The new agency will replace Frontex with greater operational powers to enforce EU migration policy. As of November 2014, the European Central Bank (ECB) has taken over the supervision of big banks from the national central banks. In 2014, the European Court of Auditors recommended expanding supervisory powers of the European Banking Authority (EBA). If followed, the EBA would be as strong as the strongest EU regulatory and enforcement agency at this moment, the European Securities and Markets Authority (ESMA) created in 2010. Since 2013, a tense discussion has been going on establishing a European Public Prosecutor’s Office (EPPO) to investigate, prosecute and adjudicate crimes affecting the financial interest of the European Union (PIF-crimes). This is what has been happening as we ‘speak’. However, proliferation of EEAs has already celebrated its 15th birthday. Next to the Commission’s enforcement of EU competition law, seven EEAs have pumped up since 1999 (see the Table): the Anti-Fraud Office (OLAF); European Aviation Safety Agency (EASA); European Medicines Agency (EMA); European Fisheries Control Agency (EFCA), ESMA, ECB, and the just established ‘Superfrontex’. The list is exhaustive (Renforce project). What these entities do – alone or together with national enforcement authorities (NEAs) – is that they monitor if companies and individuals comply with EU law, investigate suspicious cases and punish for violating the law. 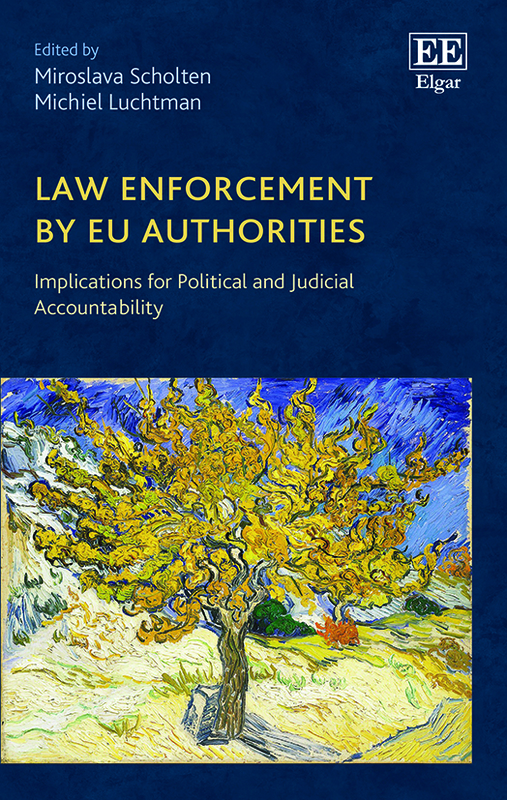 Different models of shared enforcement (Scholten and Ottow (2014); Ottow (2012)) exist with the Commission, ECB and ESMA being the ‘fully-fledged enforcers’. The trend can be explained by functional necessities (Scholten and Scholten (2016)), i.e., problematic national enforcement and undesirable national differences, interconnected with the limits of indirect enforcement mechanism, i.e., repetitive violations of EU law by national authorities (Jans, Prechal and Widdershoven (2015)). Furthermore, creating an EEA can have the advantages of what is called ‘European territoriality’ (Ryngaert and Vervaele (2015)). Whereas national borders restrict enforcement jurisdiction of NEAs, EEAs’ territorial domain is European, i.e., the joint territories of all the participating MS. Time consuming schemes for mutual legal (administrative or criminal law) assistance can be thus overcome. The new development brings, however, important challenges for public and private actors and the citizen, which require reforms. Enforcement powers of EEAs imply the growth of EU’s power at the cost (at least in part) of national power. However, is this growth legitimate in the absence of specific legal basis and framework? The Treaties establish the rules and procedures for a ‘rule-making’ EU (with the only clear exception of EU competition law), not the EU that can ‘search and seize’. Weak legitimacy runs a risk of disobedience. Is the growth secure for the citizens if the system of political and judicial controls are still in the making? Enforcement powers have become shared between EEAs and NEAs. Yet, the system of controls remain separated: national parliaments and courts for NEAs, EU parliaments and courts for EEAs. Gaps in controls create a situation of pointing fingers at each other and hence of escaping accountability (Jans, Prechal and Widdershoven (2015); Scholten (2014); Eliantonio (2014); Jans, Prechal and Widdershoven (2017); Hofmann, Rowe and Türk (2011); Papadopoulos (2010); Bovens (1998)). How do we best organize shared enforcement in the EU for it to be effective and yet respecting the fundamental rights and freedoms and the rule of law? Is it right that an EEA can choose which legal protection an individual or company is entitled to and how the EEA would be controlled and where? The existing system of legal protection for the citizen is not watertight; it threatens the rule of law and promotes injustice (Van Rijsbergen and Scholten (2016); Luchtman and Vervaele (2014); Luchtman (2013)). 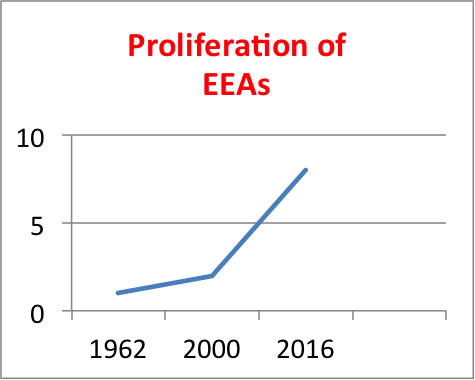 The proliferation of EEAs is a recent and so far understudied development. It puts, however, the core values of our society – the rule of law and democracy – at risk. We need to ensure an effective and secure/just (shared) law enforcement in the EU. To do that, we need to understand the development, its drivers, purposes, means and the scope of challenges it has brought along. This blog and its first post start the generation of the knowledge with this aim. Via monthly blogposts, we will involve and connect those who enforce EU law (EEAs and NEAs) with those who are affected by enforcement rules and policies (individuals and companies) and with those who control EEAs and NEAs and are empowered to influence and address the existing challenges (politicians, judges, societal organizations, and academics). Stay in touch (subscribe on the right) and/or get involved (social media on the right)! This post is inspired by Scholten, M. ‘Mind the Trend! Enforcement of EU law has been moving to ‘Brussels”, forthcoming in the Journal of European Public Policy in 2017 (special issue ‘Moving beyond legal compliance: Innovative approaches to multi-level implementation’ edited by Eva Thomann and Fritz Sager). 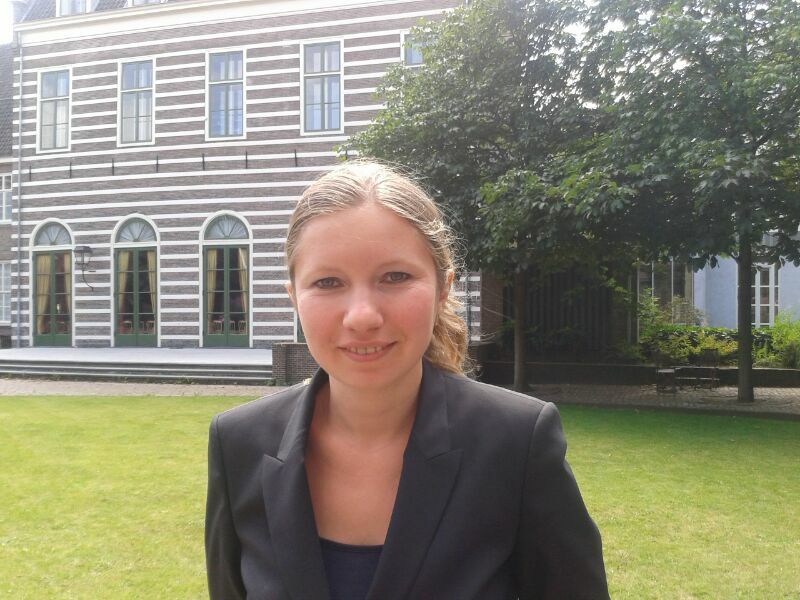 Mira Scholten is an Assistant Professor of EU law at Utrecht University. Thanks for this interesting initiative! I will follow your blog with great interest. Thank you very much, Ellen, for your kind words! You are very much welcome to contribute to this blog, too (a blog post and your publications)!